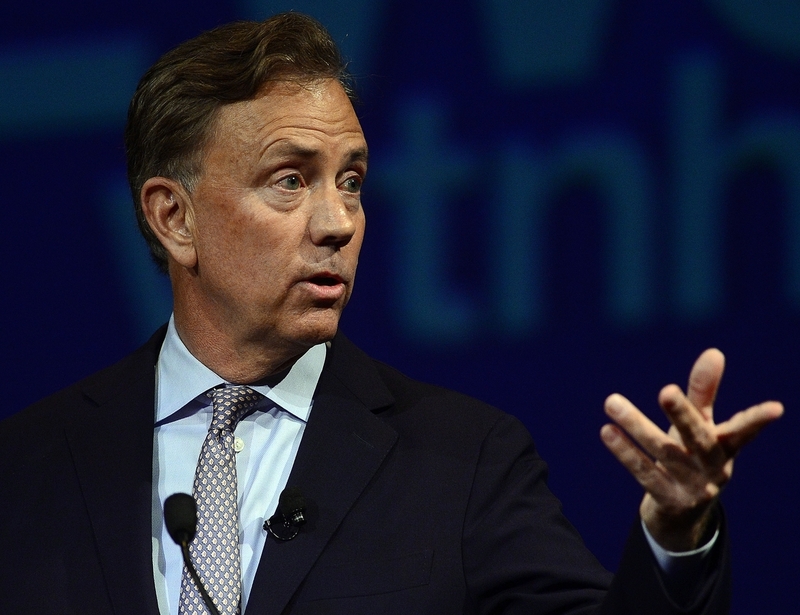 New London — Ned Lamont, Democratic candidate for governor, said that, if elected, he would focus like a "laser beam" on reining in state spending. There's a lot of room for savings, and he'd likely start with health care, which makes up 25 percent of the state budget, he told The Day's editorial board on Friday afternoon. Much of that cost is tied to the state employee health plans, and Lamont said Connecticut needs to make reforms like those done in New Jersey, which is expecting to save hundreds of millions on health care costs by pushing employees and retirees to use in-network doctors and generic drugs. "I'd sit down and negotiate with state employees, and say, 'I can pay up to the average but I can't pay up to the most expensive brand name available for each and every hip operation or whatever it might be,'" Lamont said. The editorial board also extended an invitation to Republican gubernatorial candidate Bob Stefanowski to come in and share his vision for the state but he had not responded to that invitation as of Friday afternoon. Independent candidate Oz Griebel has met twice with the board. On the health care front, Lamont said he'd continue efforts to move away from nursing homes and institutionalized care in favor of allowing seniors to receive care at home, which costs less. Medicaid provides reimbursement for at-home care, and the state "ought to continue to emphasize (that)," he said. He also is proposing property tax relief for seniors by restoring funding for the municipal property tax credit program, and adding new funding to cover 25,000 senior renters. He wants to increase the property tax credit against the state income tax from $200 to $300. "It's the biggest tax paid by the middle class. It's the biggest tax paid by small business. We want to do everything we can to allow seniors to stay in their homes and not feel like they've got to go to Del Ray (Florida) or they got to go to a nursing home," Lamont said. "I think it's a good faith effort to tell people, 'I get it. I know about the high cost in Connecticut.'" His campaign website says he would pay for these proposals by reducing costs at the Department of Correction, improving tax collections and enforcement, and legalizing sports betting. Lamont also said he would look at instituting a statewide car tax in lieu of local property taxes on motor vehicles, which differs vastly among communities. However, he has not unveiled a detailed proposal for how that would work. Lamont claimed that he would first look at areas for savings within the state budget before considering raising taxes. But he already is eyeing imposing the sales tax on online retailers like Amazon and eBay.